Bangle Closure : Adjustable. Bangle Width : 0.8 CM. Bangle Weight: 35.00 grams. Hypoallergenic Jewelry. 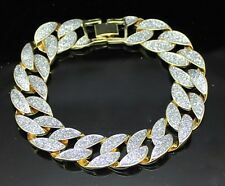 Material: Silver Plated. Silver Plated. We'd love to hear from you! · For order-related issues, your order number. 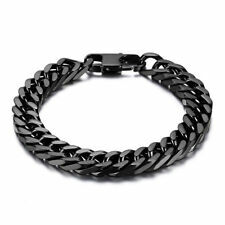 Durable Black Stainless Steel 10mm Heavy Wide Mens Curb Link Chain Bracelet 8"
Within minutes of receiving it, I ordered 2 more. I hope I love them as much as I do this one.